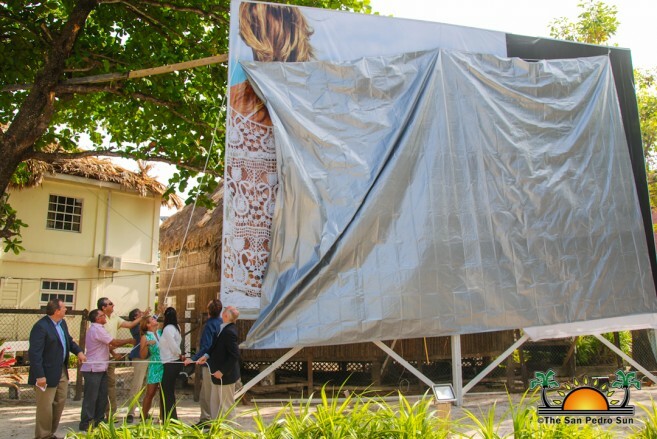 The Marriott Hotels’ signature brand has expanded to Belize. 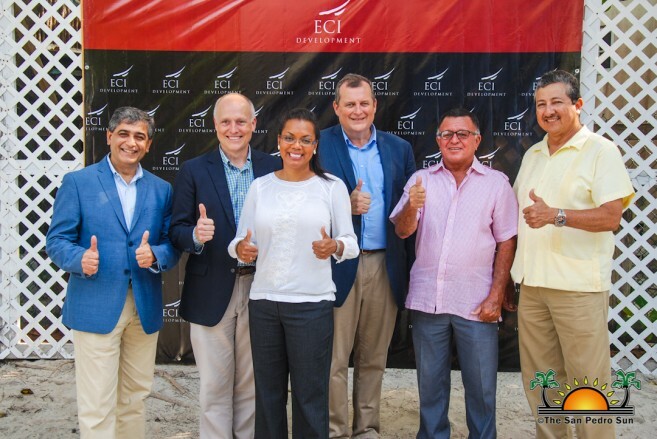 On Thursday, April 19th the ECI Development group announced the unveiling of the worldwide known hotel brand on the island. During a private event south of San Pedro Town, the project was revealed as a 203-unit hotel, combined with as many as 70 branded residences. 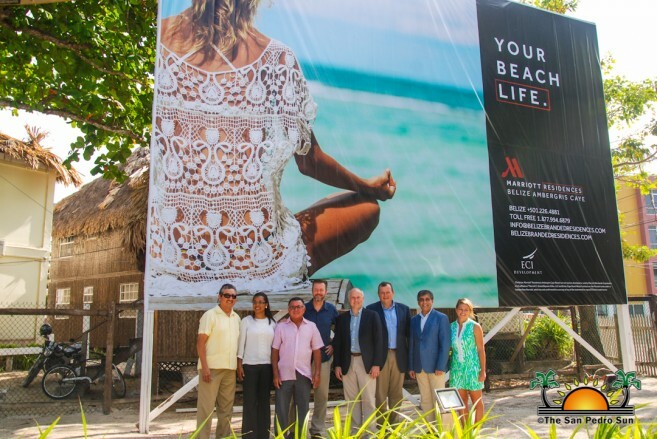 In attendance were representatives from the Ministry of Economic Development, San Pedro Mayor Daniel Guerrero, Minister of Tourism and Civil Aviation, Honourable Manuel Heredia Jr., Vice President of Marriott Hotel Brand Rahul Vir and other invited guests. While development and job creation is welcomed, many residents have raised concerns about how the new project will affect the town’s already-strained resources. For months now, the island has experienced water shortages, attributed to the high volume of people on the island, particularly during peak tourism season. Michael Cobb, Chairman, and CEO of ECI Development told The San Pedro Sun that they are aware of the issues the island is facing and have planned to invest in an infrastructure support system necessary for these large-scale developments. He touched on the issue the island is experiencing with water shortages. “We will have massive cisterns and so from 12 midnight to 5AM when nobody on the island is using the water we will fill our cisterns,” said Cobb. “The cisterns will feed everything on the hotel during the day when there is low water pressure,” Cobb added that the hotel will also count with a life safety measures such as sprinklers, a stairway at every hall and meet North America’s fire and life safety standards. Cobb indicated that such standards should not only be considered for this type of commercial investments, but also for smaller hotels. The hotel will also count with large generators to provide an uninterrupted flow of electricity in case of power outages. Construction is expected to start this year, and a large number of workers will be required to complete the project on time. According to Cobb, if workers need to relocate to the island from the mainland, finding housing for them will not be a problem. “That issue has already been dealt with by professional contracting companies, and one contractor on the island has a work camp set up where they can house them, feed them and provide transportation for them. So we are not going deal with that part,” said Cobb. Developers believe that this project will tremendously benefit the local economy on the island. They are estimating about 100 jobs during the construction process and around 300 permanent jobs when the hotel is completed. Cobb believes that because the Marriott’s branded property is concentrated in small pockets, it leaves other areas of the country open to the raw experience that visitors seek. “This is how the uniqueness of this country can be protected, “said Cobb. 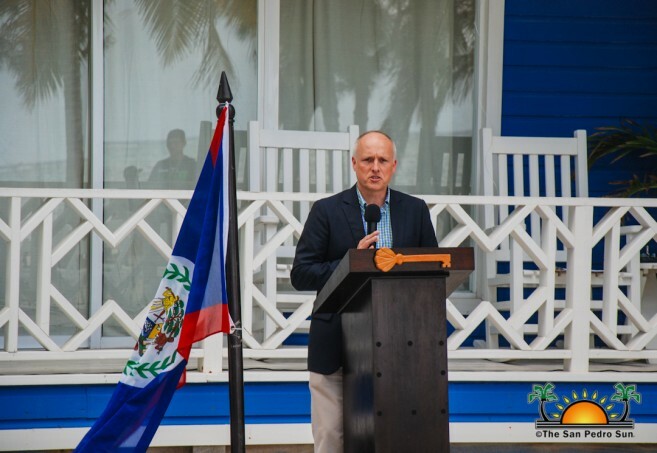 “The introduction of large-scale tourism brands started about 15 years ago when Belize invited the cruise ships.” He added that the possibility of providing a standardized tourism product is becoming a demand from visitors choosing Belize. “We have travelers coming to Belize now, who have a certain travel experience expectation that may or may not be met because of standardization. 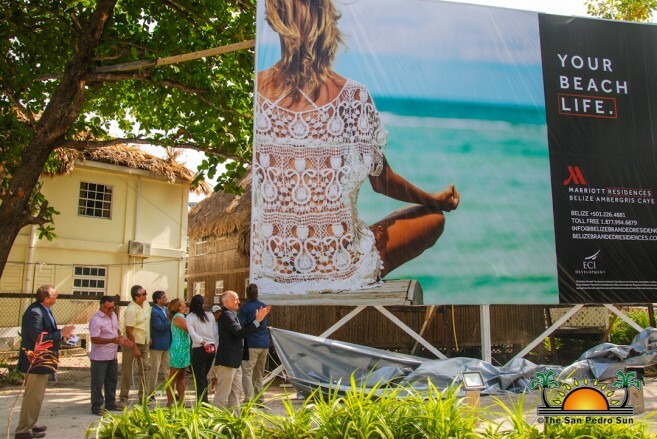 Our response to the Marriott product is a response to the marketplace of today,” Cobb adds that Belize will be exposed to the 150 million members that are part of Marriott worldwide. Local authorities on the island welcome the project. 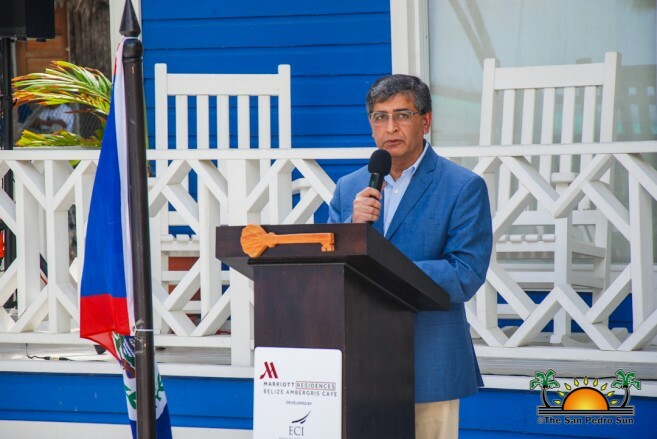 Mayor Daniel Guerrero declared it a historic moment for Belizeans and Belize, and he encourages socially responsible investments that embrace the local culture. “Besides our rich and natural beauty, our people are the most important resources Belize has to offer,” said Guerrero. 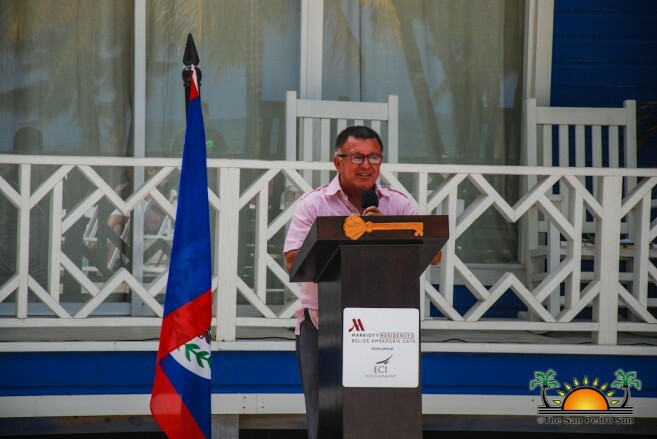 Minister of Tourism and Civil Aviation, Honourable Manuel Heredia Jr., told The San Pedro Sun that the water issues on the island will be addressed at the Cabinet level in an attempt to seek a swift solution. “Something has to happen and very soon. We cannot continue with this issue that has been going for years now,” said Heredia. The Belize Marriott Residences Ambergris Caye Resort is not owned, developed or sold by Marriott Worldwide Corporation of its affiliates (“Marriott”). Grand Baymen Villas, LLC and Exotic Caye Beach Resort Limited use the Marriott marks under a license from Marriott. ECI Development will retain 60% of the condos and is offering 40% for private ownership.